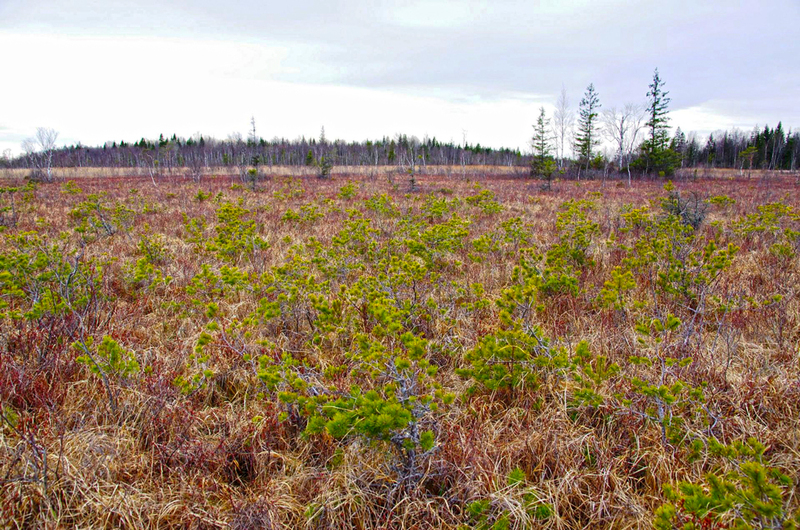 The degraded Suursoo fen forms the eastern part of the Läänemaa Suursoo mire complex. All mire habitat types are strongly affected by drainage damages, the peat accumulation ability is problematic. Only the very northern section (200 hectares) the peat accumulation may proceed. The peat forming mosses are scarcely distributed. Dominating purple moor-grass (Molinia caerulea) is indicating the significant seasonal water level fluctuation amplitude (over 0.5 meters). 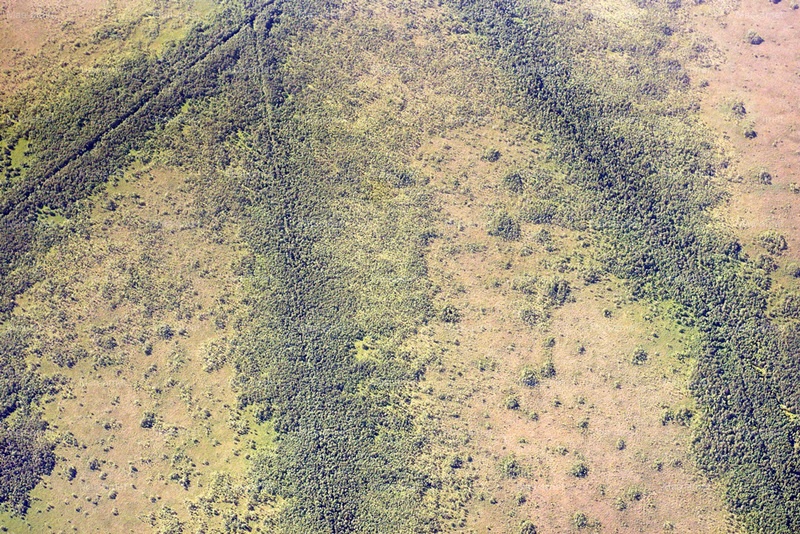 Close to ditches, with total lenght of over 38 kilometers, the growth and density of tree cover is increased, which can be seen in the aerial image. To establish the water level near surface on the project site, more than hundred wooden and peat dams will be established. As a result, peatland vegetation recovers, which is required for peat formation. 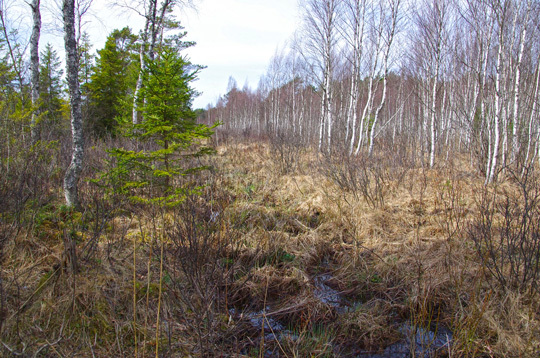 Estonia is situated in the nemoral-submeridional fen and raised bog region. According to Ilomets (2017) the total mire area is 310,000 to 340,000 hectares. 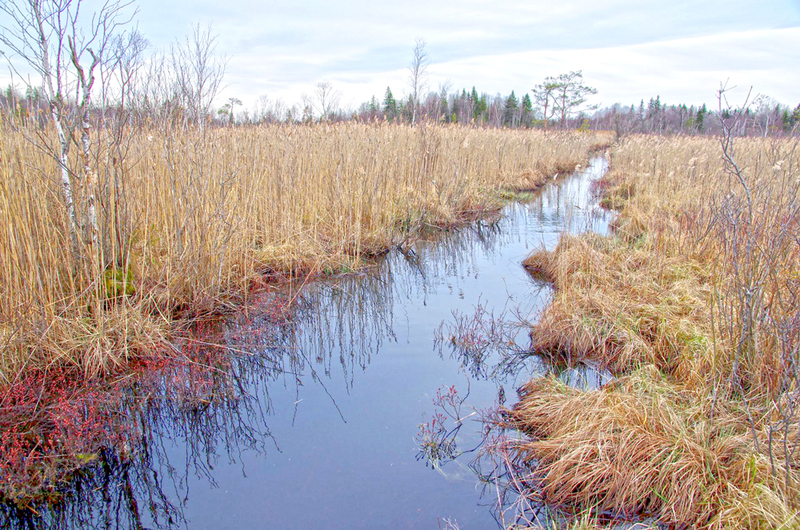 Peatlands with more than 30 centimeters depth are covering an area of about 915,000 hectares (1). Exploitation of mires for agriculture and peat extraction started in the 17th century (4) but intensified by the end of the 19th and the beginning of the 20th century, when over 350,000 hectares of organic and wet mineral soil was drained (Ratt 1985). As the hand-cut ditches were only 50 centimeters deep, the drainage impact was modest (6). After the World War II drainage for agricultural purposes was intensified. Draining of mires for forestry commenced at the beginning of the 19th century, became more systematic after 1830-1840, but remained at a low level until after World War II. In 1918-1940 forestry accounted for some 15,000 hectares of drained peatlands. After the 1950 there was a significant increase in mire drainage. By 1992 560,000 hectares of peatland forests were drained (Pikk 1997) that makes up to 90 percent of former peatland forests. Mire conservation dates back about 100 years ago. Since then several mire reserves have been established. The most comprehensive was the conservation efforts in the 1970s, when 30 mire reserves (largely bogs) with a total area of 122,000 hectares were established. As all fens belonged to the ‘potential amelioration fund’, they were not included except for one – the largest (6,000 hectares) yet undrained fen site, the Avaste fen (Kask 1965). Great part of fens disappeared because of economical usage. 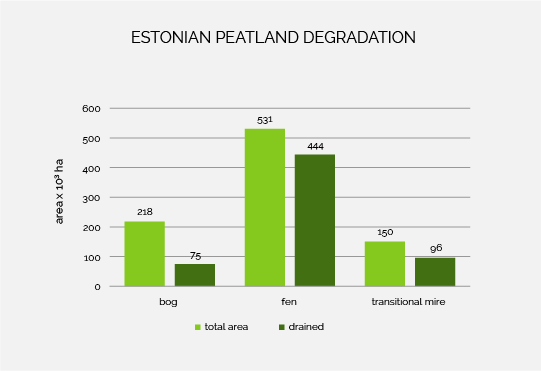 All together 610–650 x 10³ hectares of Estonian mires (~ 65 percent of the total area) have been strongly affected or destroyed by human activities (6). Open fen area with moderate drainage impact in the northern part of the project area. Young pines establish rapidly on the previously open sedge fen. 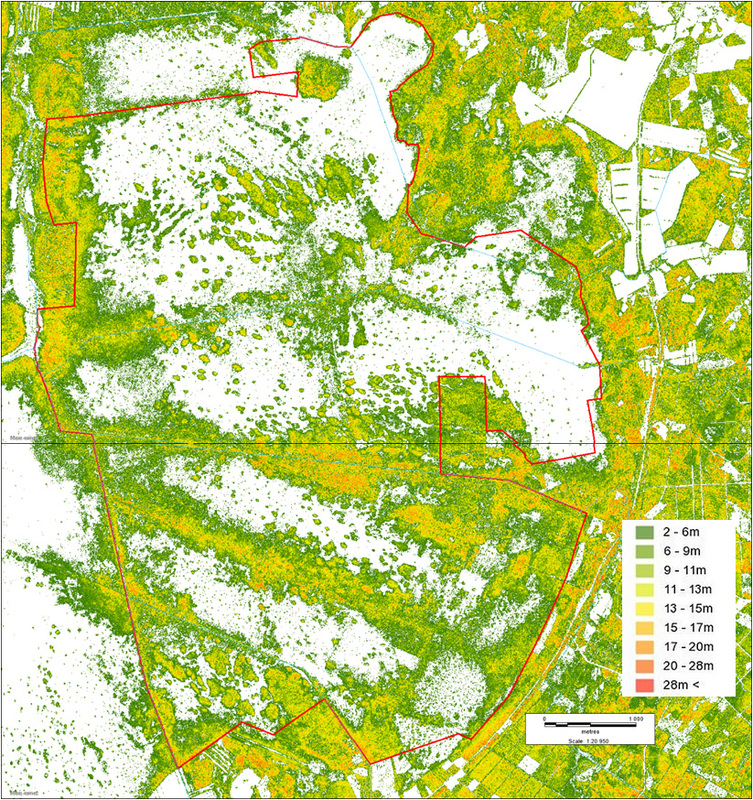 Degraded and forested fen communities with strong drainage impact in the south-eastern part of the project area. Drainage ditches are still functioning. Aerial photograph of central part of the project area. Large old ditches caused strong drainage and resulted in degradation and forestation of mire communities. Nowadays about 70 percent of Estonian mires are directly or indirectly affected by degradation. About 5000 hectares are abandoned peat mining areas, on 11,000 hectares peat mining is still being in progress (2). 4.8 megatons from fens (2). 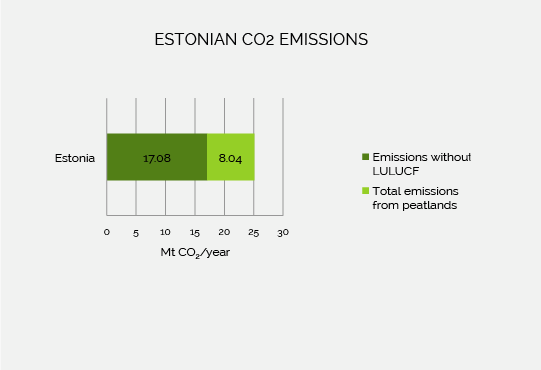 If the CO2 emissions from degraded peatlands are focussed, Estonia is with 2.11 tons behind Indonesia on rank 2 at the global scale (3). 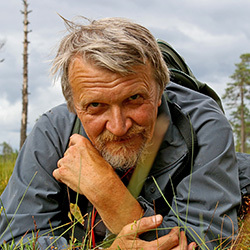 National Coordinator and ecology expert Mati Ilomets has extensive knowledge of telmatology, his work has always been related to mires. 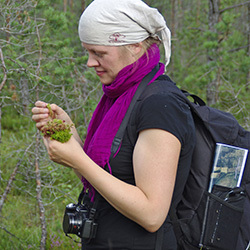 Habitat expert and PR expert Laimdota Truus is plant ecologist with long practice in fieldwork, also an editor of a popular orchid protection journal. Field and lab assistant Kairi Sepp has experienced in bryophyte ecology and participated in mire vegetation monitoring and inventories. 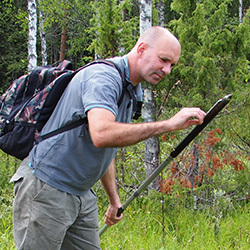 Remote sensing expert and peat expert Raimo Pajula has long experience in peat composition identification and map analyses. 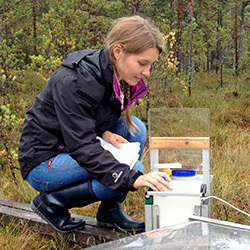 Anna-Helena Purre is a Ph.D. student and specialist in the greenhouse gas emission study. 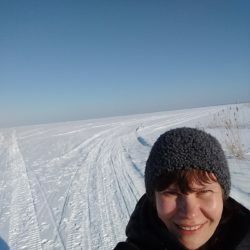 Elve Lode is a hydrologist specialized in the mire hydrology. 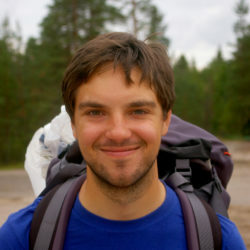 Martin Küttim is a plant ecologist, whos research is currently addressed to the phenology of peatland vegetation and the effect of climate change on peatland ecosystems. The University of Tallinn has six different schools, with more than 10,000 students enrolled. The Institute of Ecology is part of the School of Natural Sciences and Health. 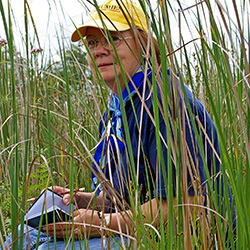 A focus of the work lies on the function and the mass flow in wetland ecosystems. The employees develop research methods and scientific principles for restoring these ecosystems. The Environmental Investment Centre is the Estonian Co-Financer of the LIFE project. Kask, M. (1965) – Каск, М. (1965) Растительность болота Авасте в западной Эстонии. 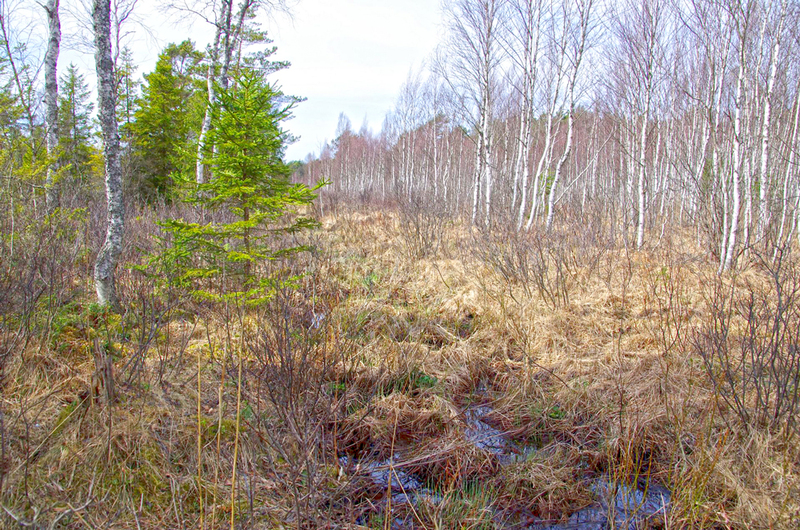 [Vegetation of the Avaste mire in West Estonia] Tartu: Akademiya Nauk Estonskoy SSR. Pikk, J. (1997): Metsaparanduse tulemused turvasmuldadel. 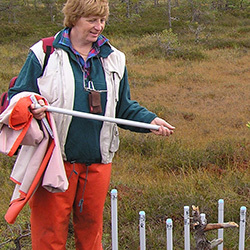 [Results of forest drainage on peat soils] Akadeemilise Metsaseltsi Toimetised, IX. S. 12-16. Ratt, A. (1985): Mõnda maaviljeluse arengust Eestis läbi aegade. [About the development of land cultivation in Estonia over centuries] Tallinn: Valgus.